You will be surprised at how quickly you get used to braces! You can still play musical instruments and sports. You may be told to wear a mouth guard during certain sports. Cut up fresh vegetables, fruits, and other hard to chew foods before eating them. Limit your sugary foods and soft drinks. If you do have them, brush your teeth right away. Avoid hard foods such as nuts, chips and popcorn. Don’t chew on ice, or pencils and pens. Avoid sticky foods such as gum, caramel, taffy and gummy candy. Brush after every meal and snack. Always use a soft toothbrush around and under your braces and floss everyday! We have special floss threaders to help you floss under your arch wires. Be sure to see your dentist for regular check ups and cleanings. 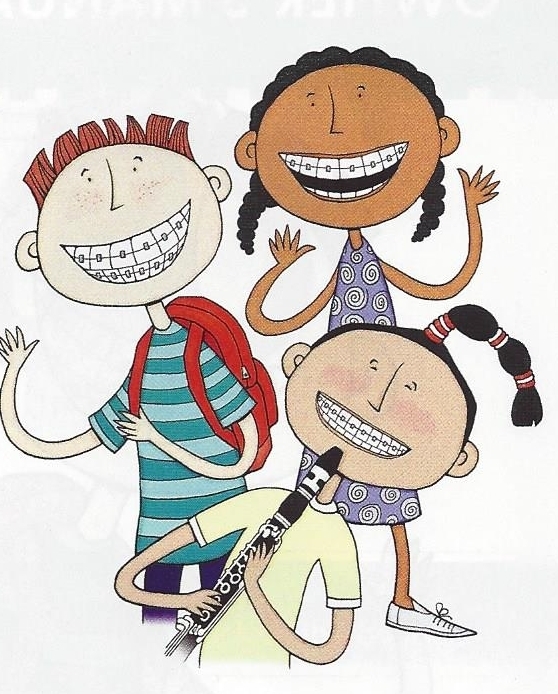 By taking good care of your braces you will be on the way to your best smile ever!